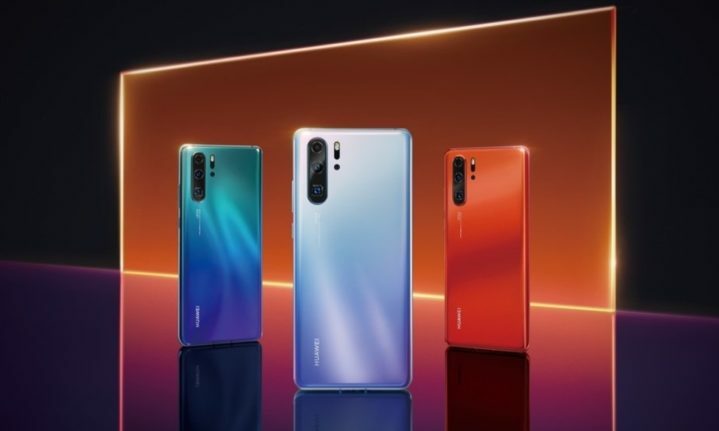 Huawei’s set to unveil their new flagship handsets – the P30 and P30 Pro – on March 26 at an event in Paris and as is the norm these days, the devices have leaked online. According to an article by Hadlee Simons at Android Authority, the P30 Pro is expected to feature a 40MP+20MP+8MP+3D Time of Flight (ToF) rear camera setup, while the standard version will feature a 40MP+16MP+8MP setup with both devices sporting a 32MP selfie camera on the front. There’s also talk of a 5x optical zoom and 10x hybrid zoom. In terms of internals, it appears that there will be 6GB RAM/128GB storage variants for both devices, as well as an 8GB RAM/256GB storage option for the Pro. The P30 Pro is also expected to pack a 4,200mAh battery, while the standard P30 will have a 3,650mAh battery. These substantial batteries will be needed to power the 6.47-inch OLED screen on the P30 and the 6.1-inch OLED display on the P30, both of which have an in-display fingerprint scanner. While these specs sound impressive and appear to beat Samsung’s Galaxy S10 series on paper, Huawei is still using the Kirin 980 chipset in both devices, while Samsung uses its newer Exynos 9820 chipset in South Africa and the Qualcomm Snapdragon 855 chipset in other regions. Design-wise, Huawei has opted for a waterdrop notch on both devices, unlike its Mate 20 series which saw the standard Mate 20 feature a waterdrop notch while the Pro variant featured a wider notch to accommodate all the 3D facial mapping sensors. The P30 Pro sports a dual-curved display which makes it look like a Samsung Galaxy S10+ with a notch instead of dual hole-punch, while the P30 has a flat display. If the trend of previous P-series devices is continued, then we should also be seeing a P30 Lite gracing South Africa’s shores, however no news of a Lite variant has leaked so far. The new handsets clearly look impressive (especially the orange / red P30 Pro which I highly doubt will come to South Africa as networks appear to be afraid of anything other than blue, black, white or gold) and aim to improve on last year’s standout devices – the P20 and P20 Pro. Samsung’s Galaxy S10+ is an incredible device, which means that Huawei needs to up their already impressive game if they want to take the number one spot from the South Korean giant. Rumours indicate that the P30 and P30 Pro will be priced between $825 (R11 734) – $1 178 (R16 755). These figures do not include import costs nor are they confirmed prices for the P30 series, however if Huawei prices their handsets lower than Samsung’s S10 series, they could very well have another winner on their hands. We’ll know more about the P30 series on Tuesday 26 March.